The Decline of Social Capital: Do You Belong? Connection is why we are here, life is about relationships, it is what gives purpose and meaning. Health is social. Over the last 12 years I have researched a cultural phenomenon which Social Psychologists describe as a significant loss in “Social Capital.” Today, society and people are more isolated, alienated and disconnected than ever before in all of history. The fallout of human connection and the sundering of modernity in our society continues to impact the way people relate and connect with each other. In a book by Robert Putnam, Bowling Alone, he describes this sundering and tearing apart of relationships and society as a major disconnection from ourselves and others leading to greater divorce, depression, anxiety and suicide, etc. Even technology has impinged on our ability to connect. We are more globally connected by technology but even more alone. People are cynical, resigned, and no longer trust in clubs, organizations, or spiritual institutions as a way people find spiritual and relational healing. Recent research indicate that people no longer feel safe within these communities or sense of connection and belonging of a “tribe”. The power message and felt experience that is projected is if you believe like me/us and you behave like me/us, you belong. If you don’t believe like me/us and you don’t behave like me/us you don’t belong. Our relationships should always communicate a sense of belonging first. In 2001, just prior to 9/11, I had attended a week-long conference hosted by the American Psychological Association entitled, “Reconciliation: Healing Fractured Relationships”. This conference was the impetus to create The Relationship Society and to generate programs designed to focus on creating a “safety net” concept for individuals, couples and marriages within our community. The “big idea” is to reach out to touch, heal and bridge the gap of what I experienced first-hand as a huge chasm “within and between” people. Throughout the conference, psychologists, bishops and ministers from South Africa presented and talked about the state of the nation and the environmental conditions necessary to generate safety, emotional honesty, integrity and forgiveness. Each side of the “great divide” had to learn and discover how to give and receive to continue to heal the community, a nation dismantled from the sundering of Apartheid. A conversation between a “white” psychologist and a “black” Bishop had posed the question, “What it was going to take to heal a nation?” His response was, “We have to give up self-preservation and our right to hurt back.” This higher purpose for reconciliation and healing fractured relationships, creating deeper, meaningful connections, and building collective mind share between various thought leaders in our communities committed to transforming and healing society as a collective has been the impetus and passion of The Relationship Society’s vision, mission, and purpose. The Relationship Society was created to connect people to community, to create a “safety net” for people to feel safe, to heal, connect and act, move and live more freely, more authentically, more powerfully, more fully self-expressed. The Relationship Society is a collective of best practices within our community of partnerships and affiliates to heal the fracture of relationships and generate wholeness, well-being and hold out hope for a new realm of infinite possibilities for a brave new world. In Bowling Alone: The Collapse and Revival of American Community, Robert Putnam discusses the decline of social engagement during the twentieth century. Using data from a variety of sources, he shows that social capital and engagement have declined in areas such as organizational membership, attending religious services, attending club meetings, and interacting with others face-to-face in communities. He posits several explanations for this decline and argues that generational succession accounts for about half of the overall change. He also examines what the deficit in social capital is doing to individuals, communities, and America. Finally, he discusses how America could reverse the trend and start revitalizing social capital. Putnam examines a number of areas to see whether a decline in participation has actually occurred. He finds that political, civic, and religious participation has declined. 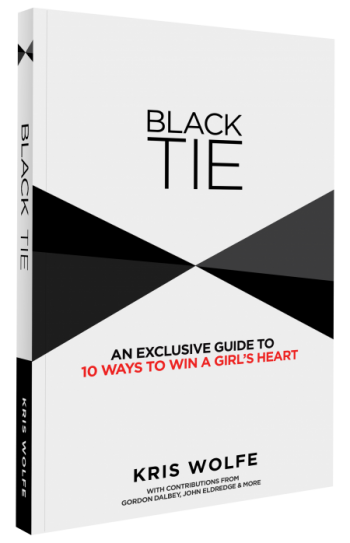 He also finds that connections in the workplace and with family and friends have declined as well. Volunteering, reciprocity, and trust in others have also declined during the last half of the twentieth century. In doing so, he finds that older Americans are often more engaged than younger Americans. He also finds that small groups, social movements, and the internet have seen increased participation. Next, Putnam observes the decline in social capital since the 1950s. He argues that financial anxiety and the changing workplace may account for up to 10% of the change. Sprawl and suburbanization account for another 10%. Television also accounts for some of the change; however, the largest factor appears to be generational succession. The generation born before WWII is more engaged, while the baby boomers and Gen X’ers are more individually focused and less engaged in society and civics. The decline in social capital has a number of consequences for society. When social capital is high, children do better in school, neighborhoods are safe, people prosper, the government is better, and people are happier and healthier. A deficit in social capital leads to more suicide, depression, crime, and other social problems. While increasing social capital is not an easy task, the individuals of the Gilded Age and Progressive Era did just that, forming new organizations and associations that got people involved again. Putnam argues that society can follow this example to correct the problem of declining social capital in the United States. Our relationships with ourselves and with society are aspects of the same relationship, and they unfold simultaneously. As we travel the road of self-knowledge, discovering our identity, we also become conscious of the greater human society. We come to know that our relationship with society is to assume the responsibility we necessarily have because we participate in it. Our relationship with society develops in stages that correspond to our degree of consciousness. It could be said that as long as we are enclosed within ourselves, we expect everything from society. Later, when we understand that our life is inseparable from humanity, we discover how to relate through participation. We then feel a responsibility to offer the best of ourselves for the good of all human beings. As long as we pay attention only to our personal world and private interests, we have a vague and superficial idea of our relationship with society: we follow social norms only because we fear reprisal; we obey the law because it is the law. We live for ourselves, separating our lives and interests from those of the greater human society. 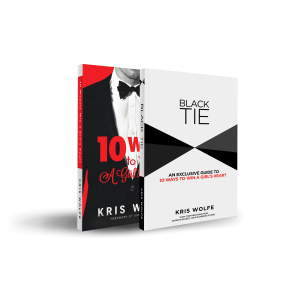 In such a self-centered relationship, we establish alliances based on our own best interest. We turn to society only when we need it, and we take as much as we can from it. When society protects us, we call it “our” society. Nevertheless, even though we call it “our” society, we don’t really live in it. We prefer the comfortable little nest we have made for ourselves of our daily relationships. This is what we look to for warmth and reassurance, and this is what we really identify with. But once we understand that living is an art that we need to cultivate, we develop an interest in knowing society and making it better. Yet, as we still tend to project our selfish interests over everything, we see only selfish interests in society, and we struggle to change at that level. This is the stage of ambivalence; we define society as “our” society or “that” society according to the ups and downs of our circumstances, needs and states of mind. When society is “our” society, we identify with it and defend it. When we want “another” society, we attack it and rebel. We alternately defend, attack or ignore society, as if it were something outside of ourselves. Society can neither be defended nor attacked. It is neither “our” society nor “that” society. Society simply reflects the process of human relationships; to attack or defend this process is to attack or defend ourselves. Such an attitude does not produce good results—it is based on ignorance that neither improves relationships nor makes us conscious of our attitudes. Ignorance in our relationship with society leads to more problems than those that already exist and adds more sorrow to the tragedies that each of us endures. It is not enough to say that we want a just society, without evil, without suffering. We can only build a better society by working on ourselves, making a concrete effort that results in good works. We create a more harmonious society through our own transformation, because the more advanced we are in our unfolding, the more we know ourselves. We are more conscious and simpler in our relationship with society and better able to work for it. Relationship through participation expresses the awareness that we are united with the greater human society and implies a constructive attitude toward our own transformation and toward active work for the good of society. 3. To accept and alleviate human suffering, creating constructive avenues of love and knowledge. If we honestly want a better society, we realize that our lives really don’t belong to us, that a life is something that must be offered to all of humanity. We begin to concretize this offering of life by reserving our energy. By not dispersing our strength in satisfying personal appetites, we turn that energy into the good work and helpful ideas which are needed at each moment. 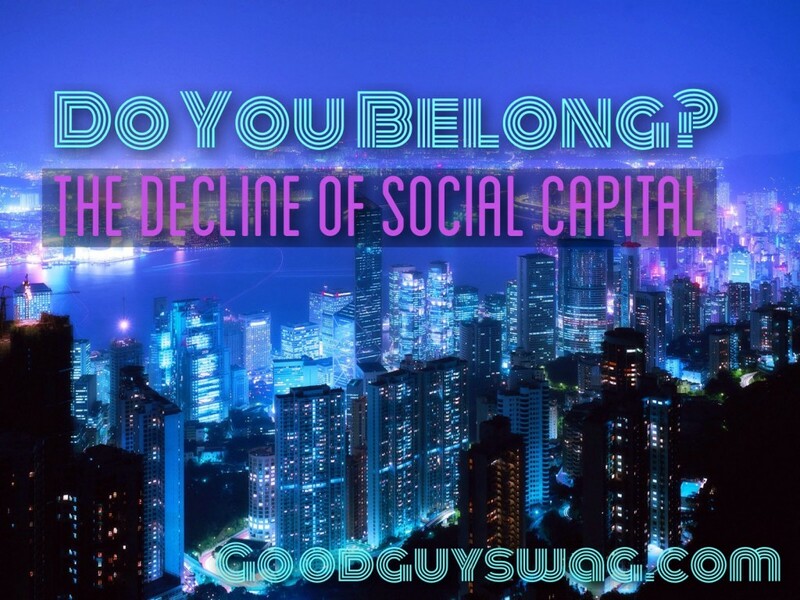 2 Responses to The Decline of Social Capital: Do You Belong? My Pastor defines success as the investment of your personality into other people. I think this is very relevant this day… More so on a personal level & how my life is structured.